"The main goal of this effort is to create an environment that forces candidates to appeal to the an even larger and more complete constituency than they currently do. Southerners, and more specifically Alabamians, represent a largely conservative, working class group of voters, but because of the timing of our primary elections, our calls for more conservative candidates have gone unheard." But would moves by Alabama or Mississippi or Arkansas to earlier dates on the 2016 presidential primary calendar do anything to really improve the lot of southern states in terms of attention paid them by the various presidential candidates in 2016? That remains to be seen. Such moves have not been a cure-all for states in the South or elsewhere in the past. Both Merrill and Hosemann seem to be talking about this as an increase in visits/attention. That may be the case, but it could also be that these states are merely splitting up a finite number of visits -- or visits within a rather finite window of time -- and aren't necessarily gaining attention to issues of, say, the Deep South. Is a visit to Texas or Tennessee a proxy visit to Alabama or Mississippi, for example? If the focus shifts to a micro-examination of just those states looking to move to March 1 to be a part of the so-called SEC primary the advantages -- as measured by candidate visits -- are not all that clear. 1 Data from Ridout and Rottinghaus (2008). The 2000 data are via the Washington Post; gathered from October 1, 1999-primary season 2000. Hotline provided the 2004 data; gathered from June 1, 2003-primary season 2004. 2 Data from Frontloading HQ via Slate.com Map the Candidates visits tracker. 3 Data from the Washington Post Campaign 2012 Republican Primary Tracker; gathered from June 2011-primary season 2012. * For the calendar dates of the contests in these from 2000-2012 click on the year. Clearly earlier is better (see Ridout and Rottinghaus 2008; Mayer and Busch 2003). Alabama and Arkansas were lodged in June and late May primaries respectively in 2000 and 2004 while Georgia and Mississippi were in March in those years. Georgia benefited. Mississippi did not. Georgia has consistently been scheduled on the earliest date allowed by the national parties during this period (save 2004) and was delegate-rich enough to draw attention from the candidates despite being on dates shared by a large number of states. In 2008, all of the above states were scheduled on the first Tuesday in February with the exception of Mississippi which as a month later on the second Tuesday in March. All gained over the previous couple of cycles.1 Mississippi was later on the calendar but took advantage of the fact that it was the lone contest on its date in the midst of a tightly contested two-candidate race for the Democratic nomination. As we look toward 2016, however, 2012 may be not only a decent guide but a cautionary tale for this. Arkansas was both late and after the point at which most of the Republican candidates had dropped out of the Republican nomination race.2 The Natural state got one lone visit from Herman Cain. 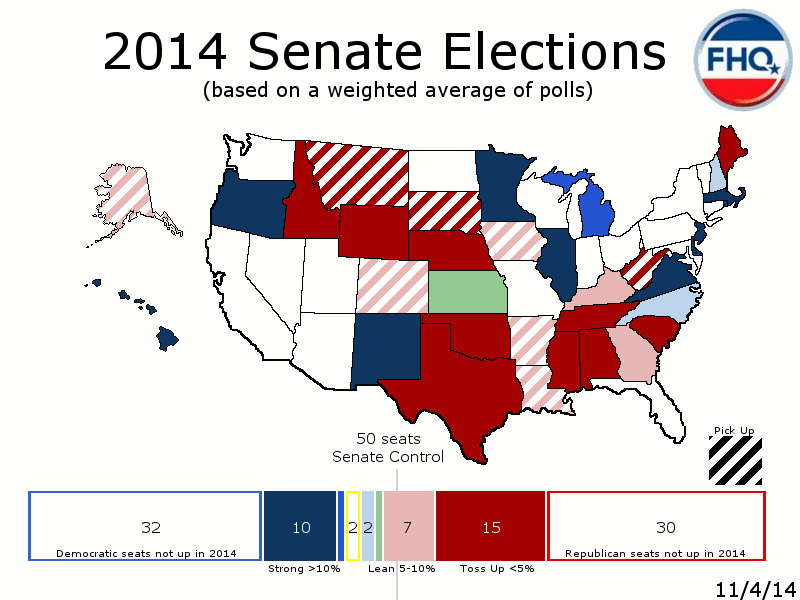 The other states potentially moving to a March 1 SEC primary for 2016 were earlier on the 2012 calendar. Georgia incrementally gained over 2008 despite just one party having a contested nomination race and sharing the most crowded date on the calendar with 11 other states; the earliest date allowed by the national party delegate selection rules. Alabama and Mississippi were together a week later. The Deep South duo's power in 2012 may have been their sub-regional contiguity and that together the two dominated a day that also included caucuses in Hawaii and the American Samoa (neither large draws). That raises questions if not red flags for a move for 2016 for those latter couple of states. Does a move away from a date that still finds Alabama and Mississippi dominant and to a date shared by a number of larger southern states (Florida, Georgia and Texas among them) net more or fewer visits in 2016 over 2012? If Ohio vacates March 8 to join a later March midwestern primary, would it not be more beneficial to stick with a date you dominate versus a date shared with others? Is a visit to Texas -- a regional visit -- the same as a candidate visit in Alabama or Mississippi? These are tough questions to answer for state actors who have a limited state legislative session window in which to act in the spring of the year before the primary. And these folks tend to be risk-averse. Alabama and Mississippi would only gain by sticking with a later date is the nomination races are ongoing once they get to the second Tuesday in March. The field may be winnowed too much by then dropping the number of visits to either. This is the mindset that has dominated the frontloading era. Move up or get left behind. But it isn't clear in this instance that states in the South will receive the attention they crave. In the meantime, decision makers in both Alabama and Mississippi seem to have forgotten what they gained in 2012 with their sub-regional coalition. Surely "cheesy grits" would have proven more memorable to elected officials in the Deep South. 1 Some of that has to do with how and when the visits data was gathered, but some of that also has a great deal to do with how many parties had contested/competitive campaigns and how many candidates were involved in the race at the time of the primaries in these states. 2 Romney had not clinched enough delegates to assume the mantle of presumptive nominee, but was approaching that mark with only Ron Paul actively running in the later primary states. As the 2015 state legislative sessions draw nearer, primary movement for the 2016 cycle is back on the radar. Lately, much of that discussion has centered on the possibility of a southern regional primary forming on the first date allowed by the national parties, March 1. As FHQ has mentioned previously, this effort is being spearheaded by Georgia Secretary of State Brian Kemp (R). Secretary Kemp has reached out to his counterparts in a number of other SEC states to gauge their interest in their states -- Alabama, Arkansas, Louisiana and Mississippi -- joining Georgia (and a number of other southern and border states) on March 1. Louisiana has already bumped their primary up in 2014 and is not necessarily eager to shift -- even if only slightly -- again. Alabama and Mississippi coordinated their primary dates on the second Tuesday in March for 2012. Neither state would seemingly face too much resistance to moving up another week for 2016. In Georgia, the power to set the presidential primary date lies with the secretary of state and Kemp seems more than inclined to keep Georgia on the first Tuesday in March for a second straight cycle. When the Arkansas presidential primary was shifted up for the 1988 and 2008 cycles, the decision was made to create an all new and separate presidential primary election at an earlier point on the calendar. Traditionally, the majority of Arkansas primary elections have been consolidated in mid- to late May. In 1988 and 2008, everything but the presidential primary stayed in May while a presidential primary was created and moved into March and February, respectively. Relatedly, to do that again, Arkansas state legislators would have to consider whether to incur the costs associated with a separate presidential primary as has been the case in the past. In 2008, that meant an extra $1.7 million to conduct that additional election. The alternative is to do what Alabama and Mississippi have done: consolidate all primary elections on the earlier presidential primary date. Mississippi has been doing this for years, but Alabama shifted both its presidential primary from February to March and its other primaries from June to March in 2008. Arkansas could follow suit. But there is one catch that was raised in 2009 when Arkansas legislators were considering (and ultimately deciding on) eliminating the presidential primary and consolidating it with the other 2012 primaries. A constitutional amendment was passed by Arkansas voters in 2008 that moved the state legislatures sessions from biennially to annually. Annual sessions meant that the possibility existed for campaigning and fundraising to take place (for state legislators) during the state legislative session, violating a self-imposed rule (for those activities not to overlap). A March 1 [consolidated] primary would fall in the midst of the 2016 state legislative session. So, in Arkansas it is a decision between the financial costs of creating and scheduling an earlier presidential primary or breaking the norm of state legislators campaigning/fundraising during their legislative session. The former has been the (less cost-effective) precedent in Arkansas in the past while the latter will potentially serve as a deterrent to moving up. Every additional roadblock makes moving a presidential primary forward and joining the proposed SEC primary that much more difficult, and Arkansas has a list of obstacles that other southern states involved do not have. That does not mean the presidential primary in the Natural state will not end up on March 1. Rather, it does indicate a more difficult path to that end. Throughout 2014 the idea of a southern regional primary has gathered some steam. Thanks to the efforts of Georgia Secretary of State, Brian Kemp (R), that has taken hold among a handful of secretaries of state across the Deep South and gotten some scrutiny in the media as well. Most of that examination tends to focus on the Republican side of the looming 2016 presidential nomination contest. The partisan focus in combination with the likely March 1 date for the proposed SEC presidential primary comes with the typical caveats about the Republican National Committee requirement for a proportional allocation of delegates for any contest held before March 15. In other words, southern states are going to potentially cluster their contests on the earliest date allowed by the major parties, but with the implication that they will have to dilute the significance of the primaries by allocating delegates in a proportional manner; not winner-take-all. But here's the thing (actually two things, but bear with me): 2012 showed that that dilution was not all that strong in the first place. That has something to do with the dispersion of primaries and caucuses across the calendar, but also is a function of the RNC definition of "proportional". Proportional does not mean proportional in the mathematical sense. Rather, it means that one candidate cannot receive all of a state's bound delegates (unless that candidate receives a majority of the statewide vote in a given primary, for example). Proportional simply means not winner-take-all. For southern states considering a shift up to March 1 to be a part of this SEC primary, though, there is another important layer to add: They were all "proportional" in 2012. With the exception of Arkansas, North Carolina and Texas, every southern state had a primary or caucuses before April 1.1 And regardless of timing, all southern states either already had or transitioned an allocation plan with the necessary proportional element for 2012. Alabama was proportional. Georgia was proportional. Mississippi was proportional. Arkansas was funky, but it was proportional too (...even in late May). There may be some revisions to those plans by state Republican parties in 2015, but across the states that are a part of this proposed SEC primary, the allocation plans are already proportional. Will that dilute the power of the South on March 1, 2016? Perhaps, but recall that Democratic contests during the 1988 Southern Super Tuesday were proportional also. That fact did not hurt the southern states then as much as the diversity of winners of contests on that second Tuesday in March in 1988. 1 April 1 was the threshold before which states had to allocate delegates proportionally in 2012. That was shifted up to March 15 by the RNC for 2016. The story from the Times-Picayune. 2. This would likely be a wise move on Louisiana's part. A Saturday, March 5 primary would be proximate enough -- regionally and on the calendar -- to the proposed SEC primary on March 1 to benefit from the regional attention. However, being on a separate date means that Louisiana would be less likely to be lost in the shuffle among larger neighboring states (with more delegates) on March 1. During the following week, March 8 is also a point on the calendar that is sparsely populated with contests. That is particularly true if Alabama and Mississippi move up a week; leaving only Ohio and the Hawaii Republican caucuses. Such a line up is unlikely to pull the campaign immediately out of the South following March 1. 1 California moved from March to June before moving into February. New Jersey first moved up to late February before bumping the Garden state primary up a few more weeks to early February. There's been a nice call and response between James Hohmann at Politico and Patrick Svitek at the Houston Chronicle over the 2016 presidential primary in Texas the last few days. Some GOP insiders believe that Florida and Texas will opt to push back their primaries until later in March. Under the new RNC rules, states that wait until March 15 can have “winner take all” primaries, with the candidate receiving the most votes collecting all of a state’s delegates. The potential presidential candidates from Florida and Texas are likely to prefer that. The response from Texas Republicans was a mix of "meh" and "we're not moving' (from March 1)". FHQ tends to agree with Texas Republicans for a few reasons. I don't know who the GOP (RNC?) insiders Hohmann spoke to, but the proportionality rule has not played out at all as an enticement to larger states moving back to later dates on the primary calendar. [The statement seems more like wishful thinking than theory of presidential primary movement.] State-level actors have not reacted by both moving back and adopting winner-take-all allocation rules. States may shift the dates of their primaries and caucuses around. However, most state parties tend to choose the path of least resistance when it comes to their method of delegate allocation. Most of the time that translates to states not changing the rules they used the last time unless they are forced to. States that move back are not forced to adopt a winner-take-all allocation method. Those states do, however, have that option. They just tend to stick with what they had allocation-wise the previous cycle, though. So, FHQ is not of the opinion that the Texas presidential primary is going anywhere in 2016. No one has been eager to jump back on the calendar in order to get winner-take-all rules and Texas has had a history of resisting these sorts of changes (calendar and delegate allocation). There is also an additional reason, but I'll save a discussion of that for a separate post in the next week or so. Let me also weigh in on Armstrong's theory that only a couple of states will move into this SEC primary slot on March 1. That has always been likely. Georgia has the flexibility to move there because the secretary of state in the Peach state sets the date. Additionally, Alabama and Mississippi seem likely to move as well. Arkansas has conflicts as FHQ has discussed previously and Louisiana has already shifted its primary up to an earlier Saturday in March than it used in 2012. The Pelican state is unlikely to move again. 1 There is an exception for emergencies, but a switch to winner-take-all rules is not necessarily an emergency. 2 The move to that date had been made before and for the 2004 cycle, but redistricting kept that from coming to fruition for 2004. 2008 was the first cycle that law was implemented. Redistricting then pushed the primary date back to May during 2012. The party switched from utilizing the mid- to late May primary in the Cornhusker state to caucuses for the 2008 cycle and retained the process in 2012. Such a move gives the NDP the flexibility to set the date of the precinct caucuses that the Nebraska Unicam did not or does not provide under the primary law. In the wake of changes to the Republican National Committee rules changes -- particularly those attempting to facilitate an earlier convention -- there was talk of amending a bill in the spring of 2014 to shift the date of the primary to an earlier spot on the 2016 primary calendar. That legislation was never amended but did provide more state government guidance on the delegate selection process (primarily on the binding of those delegates to candidates). The delegate selection plan Nebraska Democrats used in 2012, if carried over in 2016, would pass muster under the new law. Left unclear by the NDP is when the precinct caucuses will take place in 2016. That decision will be made in 2015. Michigan Presidential Primary on the Move? The Michigan legislature stretched what was to be its last day of the 2014 session working well into Friday morning on an 11 bill package with a sales tax increase to fund road repairs. What the state House did not get to was the Senate-passed legislation that would move the presidential primary in the Wolverine state to March. What that means for SB 1159 is somewhat unclear. Both the Michigan House and Senate have adjourned (for the time being), but the 2014 session may not have been gaveled closed yet. As of this writing, the Michigan Legislature web site is showing that the state House is adjourned until Tuesday, December 30 at 11:30am.1 That may provide a window in which the presidential primary could be passed. Otherwise, it may simply be a casualty of a countdown clock that reached all zeroes. Regardless, the presidential primary move to March is an idea endorsed by the state Republican Party and got broad bi-partisan support in the state Senate. SB 1159 may die somewhere in the committee-to-floor transition for 2014, but the presidential primary shift is something that will very likely be revived in 2015. For now, though, the 2016 Michigan presidential primary remains in February, non-compliant with national party delegate selection rules. 1 The Senate has already acted on this, so as long as the House passes the bill in its Senate-passed form, it will be enrolled by/in the Senate. That would, of course, require the Senate to be in session in late December as well. Michigan Senate offices are closed December 22-January 4. In late November the Council of the District of Columbia -- the lawmaking body for the nation's capital -- resurrected a bill from 2013 that would shift the presidential primary in the district from the first Tuesday in April to the first Tuesday in June. Throughout December the legislation -- B20-0265 -- received more scrutiny from the Council and was opened to the amendment process. However, that yielded little in the way of substantive change for the presidential primary.1 The original legislation introduced in May 2013 would have shifted the presidential primary back to the second Tuesday in June. But that date has been bumped up a week to the first Tuesday in June in the version that got a final unanimous thumbs up from the Council on December 17. The bill will now be transmitted to Mayor Vincent Grey for his consideration. A signature would move the presidential primary in DC to a date in June on the 2016 presidential primary calendar that coincides with California, Montana, New Jersey, New Mexico and South Dakota; a departure from the subregional primaries the District has been a part of the last two cycles. Hat tip to Richard Winger at Ballot Access News for bringing the bill's revival to FHQ's attention. 1 The introduced legislation consolidated the presidential primary and those for other offices in the District on that June date, but that was altered in the final amended version. The primaries will remain concurrent in 2016, but the non-presidential primaries will be moved to September starting in 2018. Read more about the move here. Back in September the Michigan Republican Party formally endorsed a change of presidential primary dates. That was a non-binding move however, as it requires action on the part of the state legislature to shift the date of the presidential primary. But as the lame duck session of the Michigan state legislature winds down, it appears as if the state government is slowly catching up and aligning with that September endorsement of a March 15 primary. During the first week after the legislature reconvened for the bulk of its post-election lame duck session, Senate Majority Leader Randy Richardville (R-17th, Monroe) introduced legislation concerning the presidential primary in the Great Lakes state. SB 1159 would move the Michigan presidential primary from the fourth Tuesday in February to the first Tuesday in March.1 Importantly, the bill, if passed and ultimately signed into law, would move Michigan back into compliance with the national party delegate selection rules barring non-care-out state primaries and caucuses from being held prior to the first Tuesday in March. However, in its introduced form, the legislation was not in sync with the prior Michigan Republican Party-endorsed primary move. On December 11, SB 1159 was amended, providing for alignment with the state Republican Party. The amended version -- calling for the primary to move to the third Tuesday in March -- passed the state Senate with just two dissenting votes. The bill moved immediately to the state House where it has been stuck in committee all week as the clock runs out on the 2014 legislative session. That last day is today -- December 18 -- and all signs point toward a sine die day discharge of the bill from committee and a potential floor vote. Final days are always busy, so this bill may or may not pass today, but it looks as if Michigan will move off the list of potential problems for the 2016 presidential primary calendar, whether now or in 2015. NOTE: Other legislation currently still in committee in the state House includes the bill to alter the method of allocating electoral votes in Michigan. Again, final days can be crazy, but there has been no discharge effort made on this bill. 1 Its companion bill, SB 1160, would also move February school elections to the same date in March during presidential election years. Those two sets of primaries were concurrent in 2012. That consolidation and its costs savings were used by Michigan Republicans as an argument against moving the presidential primary to a compliant primary date in 2012.